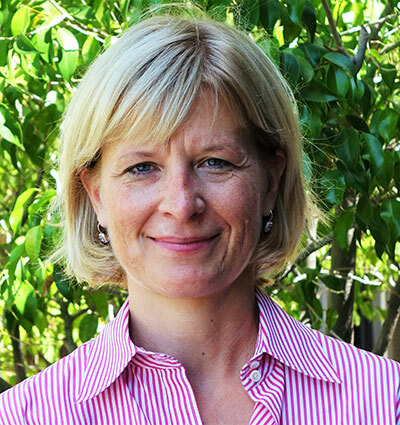 Jessie Kornberg joined Bet Tzedek as President & CEO in 2014. Kornberg’s tenure has seen the agency grow to address the most pressing legal issues facing low-income families, including the nation’s first transgender medical-legal partnership, Los Angeles’ first low-income tax and small business start-up clinics, and a family preparedness program to respond to growing concerns surrounding the deportation of undocumented parents. 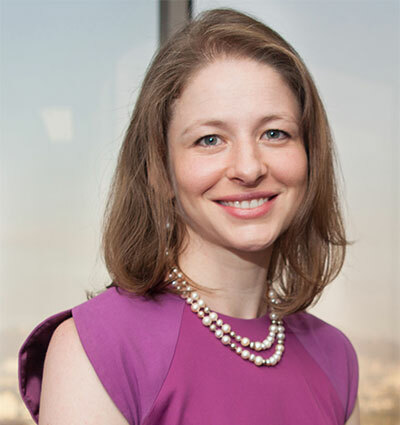 Prior to taking the helm at Bet Tzedek, Kornberg distinguished herself as a trial attorney at Los Angeles-based litigation boutique Bird Marella. Among her achievements there, she lead the trial team that prevailed in one of the 10 largest intellectual property verdicts of 2013, served as pro bono counsel in ground-breaking inmate-safety litigation on behalf of the inmates of the Angola death-row facility in Baton Rouge, Louisiana, and chaired the firm’s pro bono program. Prior to joining Bird Marella, Kornberg served as the first executive director of Ms. JD, which she established as a national voice on issues concerning women and law. Kornberg’s earliest exposure to impact litigation and strategic policy work – which intersect with two of Bet Tzedek’s core strengths – came while serving as a legal fellow with the NOW Legal Defense and Education Fund (now known as Legal Momentum). Other economic justice work included projects with the Los Angeles Community Action Network, Homes for the Homeless, and the Institute for Children and Poverty. Following graduation from law school, Kornberg was a clerk to Chief Judge Jon P. McCalla of the U.S. District Court in Memphis, Tenn. She earned her J.D. from the UCLA School of Law, where she was editor in chief of the Women’s Law Journal. Kornberg holds a bachelor’s degree in American history from Columbia College of Columbia University. Kornberg is frequently sought as a speaker, panelist and commentator on non-profit management, anti-poverty topics, Jewish life, and gender inequality, and has been recognized by The Recorder and Super Lawyers as a “Lawyer on the Fast Track” and “Rising Star,” respectively. In 2016, she was named to the American Bar Association’s inaugural list of “40 Under 40,” and in 2017, she joined the UCLA School of Law Board of Advisors. In 2019 she joined the board of the Los Angeles Urban League. Diego Cartagena has focused his legal career on addressing issues of access to justice. As a former Equal Justice Works Fellow and Teen Advocate with The Los Angeles Center for Law and Justice’s Teen LA project, Diego helped give low income teen mothers and fathers a voice in court by providing them with legal advocacy and outreach in the areas of family and immigration law. 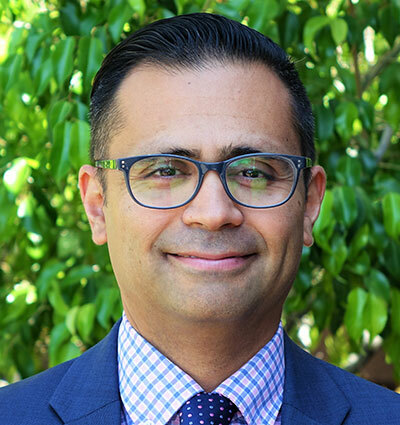 Diego then went on to serve as Pro Bono Director for The Alliance for Children’s Rights, while simultaneously serving as the agency’s Probate Legal Guardianship Program Director. Diego is a “Double Bruin,” having received his BA in American Literature and Culture from the UCLA and his J.D. from UCLA’s School of Law, where he concentrated on Critical Race Studies. Diego currently serves as a board member of OneJustice. 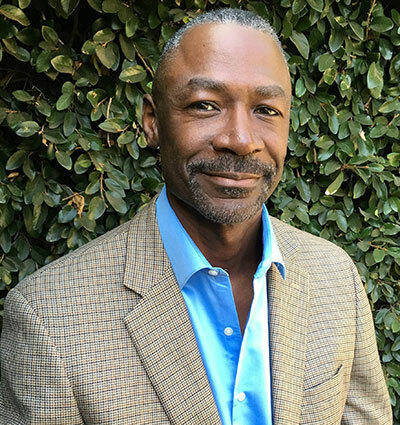 Russell Davis is a seasoned C-Suite executive with significant talent management experience. He has served as the Chief of Staff and Vice President of Human Resources with the Rare Genomics Institute, served as an Executive Vice President with Oberman, Tivoli & Pickert, and was the co-founder of Employee and Employer. Before moving into the human resources field, Russell established The Dialogue Consultants, an organizational development firm, worked in Student Affairs at UCLA, and served as a Peace Corps Volunteer in Honduras. He has his Bachelor’s degree from the University of Wisconsin, and did his graduate work in Education Counseling at USC. 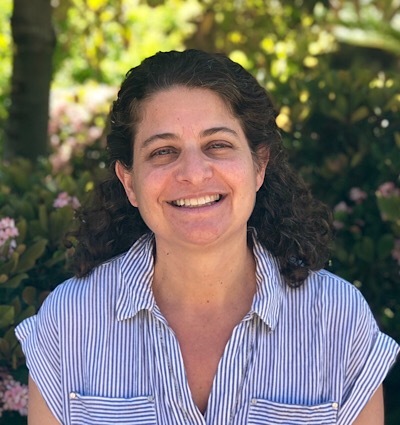 Prior to joining the Bet Tzedek Senior Leadership Team, Allison Lee served as American Jewish World Service’s (AJWS) Founding Executive Director. In that capacity, Allison worked to enhance AJWS’s visibility, expand the donor base, increase revenue, and forge new partnerships in the region. She has more than 20 years of nonprofit organizational experience, including corporate and foundation fundraising, event-planning and board development. She received the Jewish Communal Professionals of Southern California’s award for Professional Excellence in Fundraising in September, 2015. She holds a B.A. in American studies and political science from Tufts University. She is married to Rabbi Kenneth Chasen, the senior rabbi of Leo Baeck Temple. They are raising three wonderfully loud and opinionated children: Micah, Benjamin and Eliana. Jen Petrovich brings to Bet Tzedek a keen understanding of finance developed while working with a variety of businesses across a wide spectrum of industries, both in staff positions and working for clients through her own financial advisory consultancies. She represented several nonprofit organizations in a finance capacity early in her career, and honed her talents and skills in the for-profit world as CFO for a specialty sports beverage company that began in a spare room of its founder’s home to become the third largest sports drink in the country within three years. Before that, she was the head of finance and operations in creative agencies that produced print advertising and trailers for feature films and television. Jen’s skill set and approach to finance have been shaped by a career grounded in the social responsibilities advanced by the nonprofit world, and tempered by her more entrepreneurial endeavors both in her own practice and with start-up and small business clients and employers. She hopes to imbue Bet Tzedek’s finance department with the best of the spirit, attitude and practices learned in both worlds.